WASHINGTON (CNN) - Former FBI director James Comey says his belief that Hillary Clinton would win the 2016 presidential election played a role in the way he handled the investigation into her use of a private email sever as secretary of state. 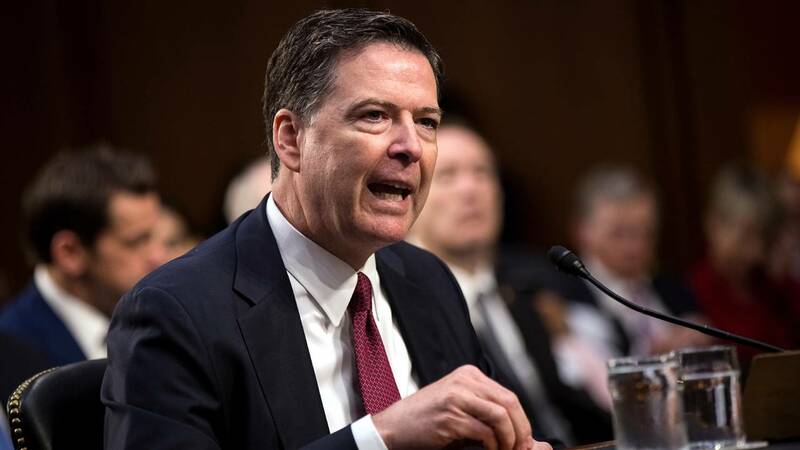 The former FBI director, who was abruptly fired by Trump last year, announced in July 2016 that he would not recommend charges in the investigation of Clinton's email practices. But in a controversial move, Comey told Congress just days before the election that the FBI was reviewing additional emails in relation to the investigation. In early November, Comey then informed lawmakers that those emails did not warrant any further action. "Wasn't the decision to reveal influenced by your assumption that Hillary Clinton was going to win, and your concern that, she wins, this comes out several weeks later and then that's taken by her opponents as a sign that she's an illegitimate president?," Stephanopoulos asks. "It must have been," Comey responds, adding, "I don't remember consciously thinking about that, but it must have been. I was operating in a world where Hillary Clinton was going to beat Donald Trump. I'm sure that it was a factor. I don't remember spelling it out, but it had to have been. That she's going to be elected president, and if I hide this from the American people, she'll be illegitimate the moment she's elected, the moment this comes out." In his book, "A Higher Loyalty," Comey expresses a similar sentiment, writing, "It is entirely possible that, because I was making decisions in an environment where Hillary Clinton was sure to be the next president, my concern about making her an illegitimate president by concealing the restarted investigation bore greater weight than it would have if the election appeared closer or if Donald Trump were ahead in all polls." Clinton herself has cited Comey's handling of the email probe as a reason she lost the election. ABC's full interview with Comey and Stephanopoulos will air on Sunday evening. The interview kicks off a media blitz by Comey to promote the release of his book.